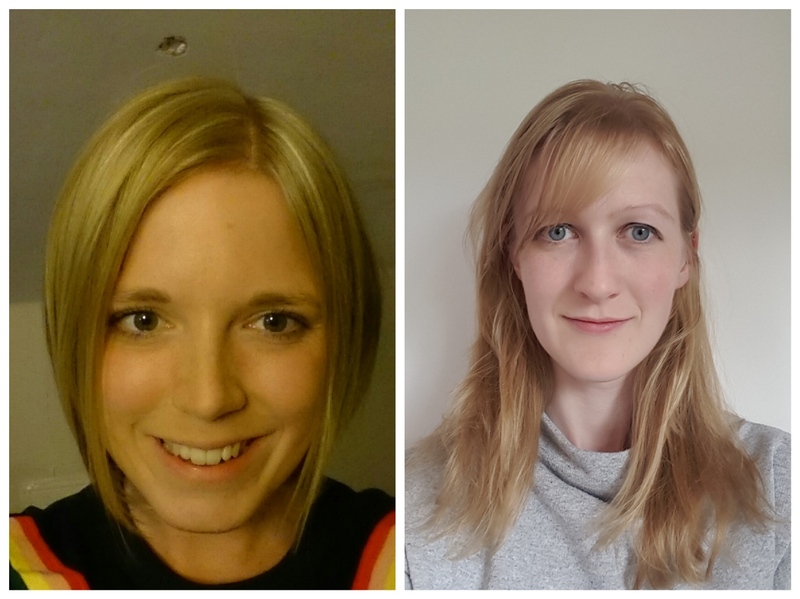 Lucy Baxter, Simulation and Clinical Education Fellow, South Tyneside District Hospital, South Shields, UK, and Jennifer Hancox, Core Medical Trainee, Sandwell District General Hospital, Birmingham, UK, explain the background to their longer article published in the June issue of the European Journal of Palliative Care. A decision regarding whether to deliver CPR (Cardiopulmonary Resuscitation) in the event of cardiac arrest ultimately rests with the medical team, but should consider patient wishes where at all possible.4 This may involve asking the patient or their loved ones directly and/or referring to Advance Decisions to Refuse Treatment (ADRT) or an appointed Lasting Power of Attorney (LPA), where an individual lacks capacity. A DNACPR (Do Not Attempt Cardiopulmonary Resuscitation) form acts as guidance in the event of cardiac arrest. The ultimate decision to deliver CPR rests with the team providing immediate care at the point of arrest and they can act in contrast to a DNACPR it if they believe circumstances have changed and it is now in the patient’s best wishes to receive CPR.4 This differs from an ADRT, which is legally binding. In both cases, however, the ethical principle of autonomy must be adhered to. So what happens if we have done all the right things, asked the patient’s wishes, completed the correct documentation, and then those wishes are inappropriately ignored? A UK National Confidential Enquiry into Patient Outcome and Death (NCEPOD) report in 2012 reviewed cardiac arrest cases in the UK and found that 9.42 per cent received CPR (cardiopulmonary resuscitation)despite valid DNACPR (Do Not Attempt Cardiopulmonary Resuscitation)decisions.5 Our team* decided to look at cases where this had occurred in our own hospital trust (an organisation that runs a public hospital on behalf of the National Health Service in England), in order to identify areas for improvement. We reviewed the notes of all cardiac arrest cases across the trust in the year of 2014. We found that eight of the 132 cases had DNACPR decisions, and yet still received CPR. No sets of notes indicated new information which would challenge the existing DNACPR form. The most common theme we identified was lack of documented communication about the DNACPR, both between healthcare teams and with patient’s loved ones. Not one set of notes had documentation of the decision being communicated to the wider healthcare team. We therefore hypothesised that improving communication and its documentation would make resuscitation decisions clearer for both the patient and medical team, therefore reducing incidences of inappropriate CPR. We recommended including DNACPR decisions on medical handovers, adapting treatment escalation forms to prompt communication, and education around communication of this decision. We provided educational sessions to trainee doctors, care of the elderly and acute medical multidisciplinary teams, and trust quality improvement teams. The treatment escalation forms included a prompt as to whether the DNACPR had been discussed with the patient and next of kin. Despite these measures, 21 further incidents between 1/1/2015 and 1/5/2018 in which patients received CPR despite valid DNACPR documentation had occurred, demonstrating this is still an ongoing concern. Both from the NCEPOD report and anecdotally, we know this is a widespread problem and by no means unique to this trust. Performing CPR despite valid DNACPR documentation, in the absence of new information which would challenge the original DNACPR decision, opposes ethical principles of beneficence, non-maleficence and autonomy. Further research in this field is required to better equip ourselves to prevent this occurring and we hope our study will prompt this. The perfect method to improve end-of-life care, communication around DNACPR, and to prevent errors such as this, has not yet been found. We suspect a mixture of methods, including newer approaches to raising awareness and new technology, such as social media for healthcare staff and patient education, might all be of value. Lucy is currently working as a Simulation and Clinical Education fellow and is working on methods to improve end-of-life care and communication in this role. Jennifer is a core medical trainee with a keen interest in palliative care as a specialty choice so will also be on the lookout for new approaches. We hope our study and this blog will inspire all of us to consider how we can ensure our patient’s end-of-life wishes are upheld. Approaching death: improving care at the end of life – a report of the Institute of Medicine. Health Services Research. 1998; 33 (1): 1-3. Meier EA, Gallegos JV, Montross-Thomas LP, Depp CA, Irwin SA, Jeste DV. Defining a Good Death (Successful Dying): Literature Review and a Call for Research and Public Dialogue. The American journal of geriatric psychiatry : official journal of the American Association for Geriatric Psychiatry. 2016; 24(4): 261-271. doi:10.1016/j.jagp.2016.01.135. Sensky T. Withdrawal of life-sustaining treatment : Patients’ autonomy and values conflict with the responsibilities of clinicians. 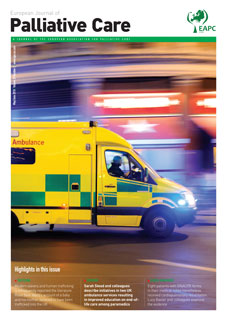 BMJ : British Medical Journal. 2002; 325(7357): 175-176. Time to Intervene – A report by the National Confidential Inquiry into Patient Outcome and Death. 2012. Tolley T, Hancox J, Baxter L, King B. Prevention and prediction: Root cause analyses from admission to arrest of Cardiopulmonary resuscitation delivery occurring in general wards across two District General Hospitals. Resuscitation 2015; 96:142-43. *A review, in conjunction with the resuscitation team within our trust, identified predictable and potentially preventable cases of cardiac arrests occurring within 2014.6 This highlighted cases of patients receiving CPR despite DNACPR forms and formed the basis for our research. This post relates to the longer article, ‘STOP! Patients receiving CPR despite valid DNACPR documentation’ by Lucy Baxter, Jennifer Hancox, Ben King, Alexandra Powell and Thomas Tolley, published in the June edition of the European Journal of Palliative Care (EJPC) 2018; 25 (3). If you already have a personal subscription to the journal, just LOGIN in the usual way. If you do not have a subscription, you will need to REGISTER here. Since the launch of the journal in 1994, the EAPC and the EJPC have forged a strong and mutually effective bond. Together, we have provided our members and readers with a wide range of papers, including several seminal EAPC White papers, and the book of abstracts for many EAPC congresses. Our successful collaboration has also led to the publication of numerous posts on this blog contributed by many of the EJPC’sauthors, providing a background to their longer articles. The diversity and high quality of the content has enriched our blog and we are deeply grateful to past and present authors, and to our colleagues at the EJPC. A tribute from the EAPC is published in the current issue of the journal. This entry was posted in EAPC-LINKED JOURNALS, European Journal of Palliative Care and tagged A good death, DNACPR and end-of-life care. Bookmark the permalink. In the Netherlands, patients can order metal ‘dogtags’ with their photograph imprinted into the tag, which they can wear around their neck, instead of relying on a piece of paper. Good idea?